Consultation on the infrastructure programme has ended, but the controversies continue. The long-suffering infrastructure improvement programme known as ChangeUp is set to go through the mill once more. Last week, a consultation on the future shape of the programme closed amid claims that it was just a box-ticking exercise and decisions on its structure had already been taken. The Directory of Social Change branded the consultation a "stitch-up". It alleged that Capacitybuilders had jumped the gun by starting work on tender documents for national support services to replace the six national hubs of expertise (Third Sector, 28 March). Simon Hebditch, chief executive of Capacitybuilders, insisted that work on the tender documents had not begun and that the consultation was a genuine exercise. At the same time, the response from the National Council for Voluntary Organisations, a key player in running the national hubs, contained both strong criticism and stern warnings for the infrastructure organisation. All of this turns the heat up by a few degrees. But what will it all mean, and how is the future of the programme shaping up? 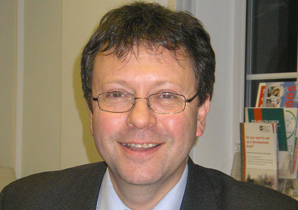 Nick Aldridge, director of strategy at chief executives body Acevo, says a radical overhaul of the programme is needed. "The hubs have been structured around the concepts, rather than the audience and what they need, and that has made it very difficult to bring any kind of customer focus," he says. "That would be a seismic shift, but I think it is necessary. For the programme to work, it needs to be focused on the people who will benefit." The commissioning process also needs reshaping, according to Aldridge, because the current set-up has threatened to throw up conflicts of interest. "Some of the hubs have had a high degree of probity, but this has brought with it a huge amount of bureaucracy and processes," he says. "We think it makes much more sense for a government agency to decide where government money is spent. We hope that Capacitybuilders will deliver this through a new commissioning policy." The NCVO, which already runs four of the six national hubs, has indicated its desire to bid for the lion's share of whatever replaces them. Sources fear this would discourage other organisations from bidding and lead to a one-horse race. One, who does not wish to be identified, says: "The NCVO has been working closely with the Government for years and its members are well connected; that is a formidable opponent to go up against." Others focus on different concerns about the programme. Joe Saxton, chair of the Institute of Fundraising, but speaking as director of think tank nfpSynergy, says the programme has had its problems. "It has had a turbulent birth and it looks like it will have a turbulent future," he says. "I think we will see a lot of shake-up, but the problem is that we do not yet have a good model that delivers the goods. "There is an issue about how the government can spend funds to most benefit third-sector organisations. At the moment, it is not clear whether they have had the right model, and the current modus operandi has not had much impact." Measuring the impact of ChangeUp on performance must also be improved, says Saxton. "The biggest issue is how we know whether the sector is performing more effectively," he says. Saxton believes the areas of support should be changed to offer across-the-board help to specific types of organisation in their local regions. Steve Wyler, director of the Development Trusts Association, says social enterprises have been crowded out of the programme by more traditional forms of voluntary activity. "It has been talked about a lot, but the capacity-building resources given to those agencies that are best placed to make a difference have not been very effective," he says. "That is a big challenge for the future." The other big challenge is supporting the community sector, Wyler says. "A lot happens at community level that is crucial for the grass roots of the sector, and these are the parts of the sector that find it most difficult to access support," he says. Ben Hughes, chief executive of umbrella group Bassac, agrees that community groups must be given more priority. "Our concern has always been that this fairly sizeable investment will not reach the community level and will not derive benefit to the community level," he says. "I think it is going in the right direction, but we remain unconvinced that large national bodies can ever impact on community groups, because we do not think they can ever engage at a community level." The future of the programme remains unclear, but one thing is obvious: different organisations across the sector are hoping for some very different outcomes from the consultation. So who is really setting the agenda?